The contract is final. 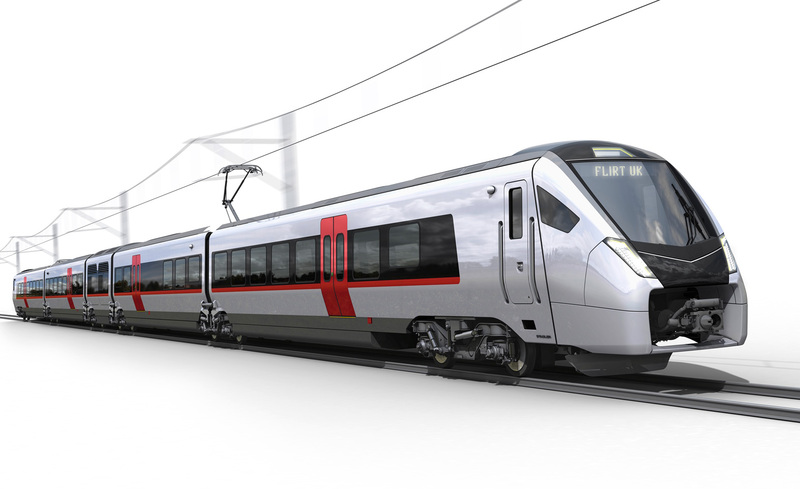 Stadler is going the develop a UK version of its FLIRT trains for the East Anglia franchise. 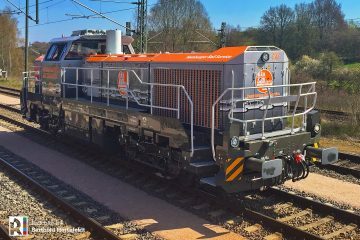 Two types will be built, a 160 km/u regional version and, visible on this page, a 200 km/u intercity FLIRT. These design impressions show more of regional trains. 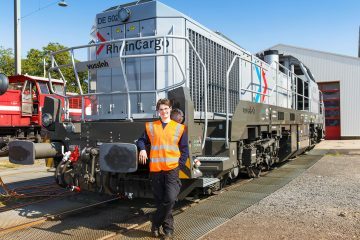 The regional units will be delivered in three-car (14x) and four-car (24x) configuration. They will be hybrid/bi-mode/dual mode (choose what you like) making it possible to ride in diesel and electric mode. The images now being released show a 4-car train (well technically a 5-car version) including a ‘motorcar’ right in the middle. This configuration is typical for Stadler Rail articulated trains with diesel engines. 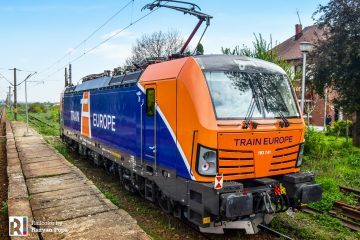 A similar motor unit is being used on the Elron DMUs in Estonia and the future BMUs for the Italian Valle d’Aosta region. Secondly, the train has lost its yellow front, still present in previous impressions. 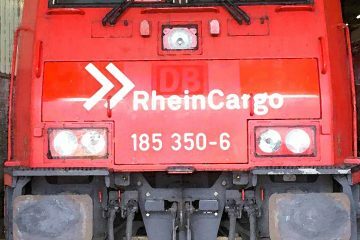 This year, the Rail Safety and Standards Board (RSSB) updated its rolling stock visibility regulations, no longer prescribing yellow paint as compulsory for every front design of domestic rolling stock. 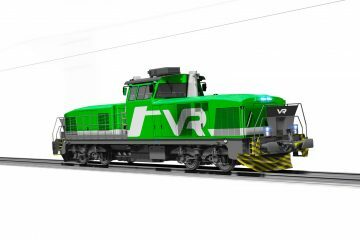 Rail operators are now responsible themselves for the visibility of their rolling stock and leaving out yellow means the trains have to meet the latest headlight configuration and technology. Third is that the front design changed for the regional version. 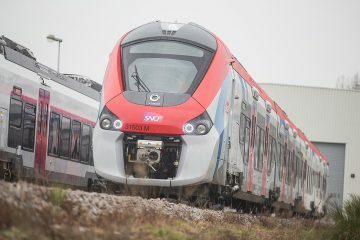 The previously released image show a FLIRT UK regional with the standard FLIRT design currently being used for almost all 160 km/u version of the platform. What more is Stadler telling us? 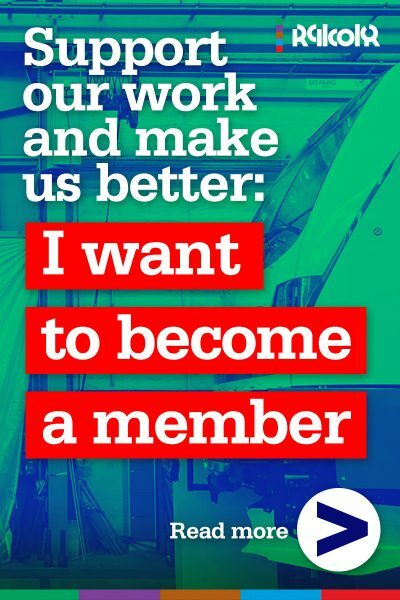 The trains are designed to provide a significantly enhanced passenger experience that will transform rail travel for the people of Norfolk and Suffolk. 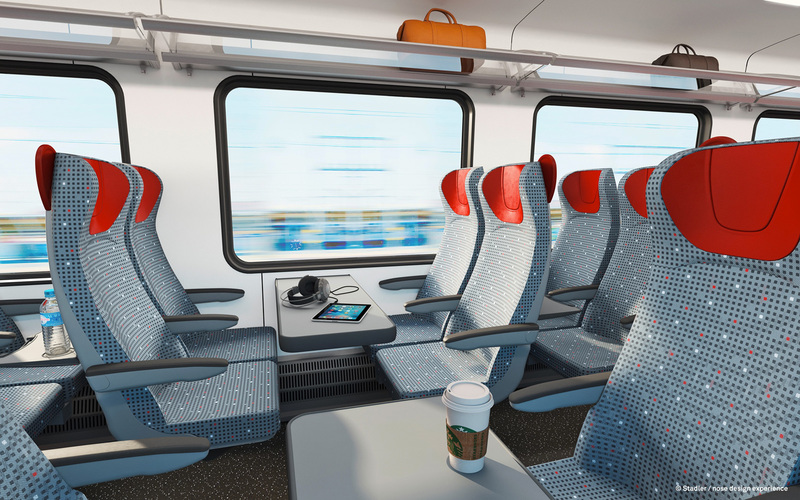 The FLIRT trains will be equipped with air-conditioning; ‘2×2’ seating; Wi-Fi and power points throughout the train; a low floor design, allowing easier access to platform from the train; passenger information systems with real-time information; and have regenerative braking. 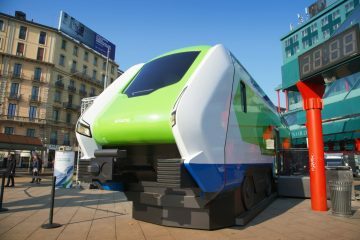 This contract is an important milestone for Stadler, as it is the one for regional trains for the UK market.